December 23, 2013 Minor updates and improvements to the Open Letter to Beauchamps Partners, 16 December 2013 published on 18 December, and after three years and at least three requests, Beauchamps Solicitors remains in violation of Section 68 of the Solicitors (Amendment) Act, 1994. December 23, 2013 A disheartening report of Elder Abuse. December 18, 2013 Athough unhappy legal clients are expected to flood the new regulator's office that may be set up, we predict it will be business as usual. Caving in to intense pressure from the Law Society and others, Justice Minister (and solicitor) Alan Shatter has taken off the table the notion that solicitors should maybe not regulate themselves. We see the recent frenzy of activity by the Law Society as a PR stunt in their campaign to make sure little problems with solicitors remain “in the family.” We hope we are mistaken. December 18, 2013 The Law Society's compensation fund has paid out €4.7m to some clients of yet another Irish solicitor who pulled the the all too common fleece and flee. Recently arrested in Brazil, solicitor Michael Lynn was a solicitor with over 150 bank accounts. Charming. Disclaimer: Lynn's solicitor says he is innocent and that the €80m wasn't a theft; it was loans. Meanwhile, the new EU Directive will hopefully make it harder for the Irish criminals who merely pull a runner within the EU. December 18, 2013 Joe Bowe of Beauchamps Solicitors issues more buffoonery and lies. We call out the nonsense and see Saoirse's response in the Open Letter to Beauchamps Partners, 16 December 2013. December 13, 2013 Another day, another solicitor accused of stealing from his clients. It's in Ireland, of course. December 13, 2013 Added another audio clip to the Unfortunate Letter; concerning Bowe's view of his client and co-executor Ethan Maxwell and the administration of Dolores' estate. December 11, 2013 We note that Beauchamps Solicitors is still in non–compliance (defiance?) of Section 68 of the Solicitors (Amendment) Act, 1994, over three years after Dolores died, despite repeated requests. WTF!? December 11, 2013 Saoirse received an Unfortunate Letter from Joe Bowe of Beauchamps Solicitors on 26 November. December 11, 2013 John Cunningham's email box is now saying that he still works for Beauchamps Solicitors, but some or all of his files are now handled by other solicitors. Requests by Dolores' beneficiaries for information about solicitor/executor Cunningham have been met with silence. Curious. That now makes two out of three executors (Cunningham and Ethan Maxwell) who cannot be contacted. It is now over two and a half years after the grant of probate. November 12, 2013 A letter from solicitor/executor Joe Bowe of Beauchamps Solicitors and Saoirse's response. Click here. November 12, 2013 Essay marking the three year anniversary of Dolores' death. November 12, 2013 We have talked about Ireland's Freedom of Information law before. Born feeble and ill in 1997, crippled in 2003, it now seems it will be effectively euthanised by “last minute” amendments. Ireland's FOI law was enacted 231 years after a radical new Swedish government, convinced that only transparency could deal with the corruption that was looting the Swedish state and society, passed the Freedom of Information Act. Yeah, kinda hard for a government to hide corruption in that scenario. Sweden ratified its first Constitution in 1719. Ireland ratified its first Constitution in 1922. Google.com search "government scandals sweden"
6.01 million results Google.com search "government scandals ireland"
Ireland, FFS, the light is your friend. Seriously, go to the light. It becomes especially handy when crimes have occurred in a number of different Garda jurisdictions; if an investigation involves crimes committed in, for example, Bray, Rosslare, Finglas, Blackrock, The Docklands, Wexford, Walkinstown, and so on, they are all put under the same file and this is then accessible to the Gardai throughout Ireland. We will publish the PULSE number when appropriate. The Gardai have been apprised of the recent information referenced in the October 30 update. Sadly and predictably, information has also recently come to light of an individual who is being subjected to Ethan's abusive tactics at the present time. This information has also been forwarded to the Gardai. October 30, 2013 We have been informed that the Gardai's decision whether or not to investigate the death of Dolores Maxwell is still ongoing. 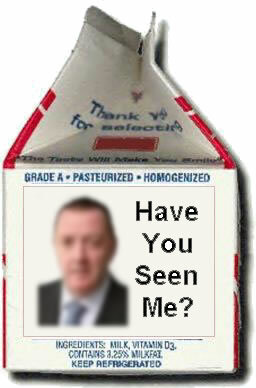 We have also been informed that recent, pertinent information has come to light and will be forwarded to the Gardai. We expect this information to add further impetus to a positive decision by the Gardai. We hope to publish this information, or some form of it, in a week or two. by that solicitor or his firm for the provision of such legal services and, where those legal services involve contentious business, with particulars in writing of the circumstances in which the client may be required to pay costs to any other party or parties and the circumstances, if any, in which the client's liability to meet the charges which will be made by the solicitor of that client for those services will not be fully discharged by the amount, if any, of the costs recovered in the contentious business from any other party or parties (or any insurers of such party or parties). That this obligation applies to solicitor/executors such as Mr Bowe was made crystal clear by High Court Judge Nicolas Kearns in his 2010 Condon–v–Law Society decision. Mr Bowe has in fact not provided any written estimate of the charges or basis of charges for administering Dolores' estate. Nor has anyone else from Beauchamps. Mr Bowe did give Saoirse a verbal guideline (during a recorded meeting in the boardroom of Beauchamps), which would place the cost of Beauchamps “professional services” somewhere in the neighbourhood of €5500 to €6000. And no, we have not forgotten the tens of thousands of Euros of Dolores' estate that so far have missed being accounted for. Nor have we forgotton the five years of Dolores' phone records that Saoirse was able to get released from the phone company which Mr Bowe refuses to let the beneficiaries have sight of. Instead Mr Bowe makes spurious statements that the “phone records may be deemed to be assets of Dolores' estate” !!! But Mr Bowe, assets of an estate are supposed to be given to the beneficiaries. Um, that's the point of the whole thing. Mr Bowe's refusal to release these records (days after his recorded statements that he would have no problem with any beneficiary seeking those records or giving them authority through the executors to do so) necessarily leads to speculation that the phone records add even more support to Saoirse's contention that Mr Bowe was accepting and acting on instructions from his client Ethan Maxwell concerning the affairs of his client Dolores Maxwell, to her great detriment. It wouldn't be the first time Mr Bowe took and acted on instructions this way, which led to his recent chastisement by the Supreme Court. It's all just so very curious. Stay tuned. We once again (this is where the sigh comes into it) take time away from working on other aspects of this site (work which currently entails publication of the Alternate Views page) and deal with this mantra that has been expressed so many times by Mr Bowe. Mr Bowe, along with his colleague John Cunningham, are solicitor/executors of Dolores' will. The third executor certainly has a history of posing as a solicitor, but is not. That would be Ethan Maxwell, Dolores' youngest son. Because Mr Bowe and Mr Cunningham are solicitor/executors, Mr Bowe's assertion that he and Mr Cunningham do not act for the beneficiaries is just plain silly. It is also in opposition to both the High Court and the Law Society of Ireland. The logic of defining beneficiaries as clients is that, for the purposes of the 1994 Act, the solicitor must be treated as though he were taking instructions from them. The definition of ‘client’ in s.2 of the Act of 1994 not only addresses the usual position of a person who by giving instructions to a solicitor becomes a ‘client’, but, much more significantly, extends the definition to include a beneficiary to an estate under a will, intestacy or trust. A solicitor should also take into account that in certain circumstances the courts have held as a matter of law that a duty of care is owed, not just to a solicitor's own client, but to a third party, such as an intended beneficiary of a will. The Law Society wrote it up in their magazine The Gazette of July 2010. This assertion by Mr Bowe was also dealt with in Saoirse's Further Affidavit to the Solicitors Disciplinary Tribunal. And in the Open Letter to John White Part 3. September 02, 2013 We present a three step proposal to streamline the justice process in Ireland. It does away with messy and extraneous things like the Gardai, juries, and judges. 1. Choose a specific timeframe that avoids the majority of the perp's crimes. 2. Assign the investigation of this narrow timeframe to the perp's solicitor. Note: This would be even more effective in those cases where the perp's solicitor is also accused of complicity in his client's crimes. Pretty simple, no? We didn't actually think of this interesting path to justice ourselves, we admit. It was only after gaining sight of a recent proposal by Beauchamps Solicitors to address the perjury, conflict of interest, financial misdealings, misappropriation, unaccounted for funds and all the rest that make up the shambles we refer to collectively as “The Administration of Dolores' Estate” that we realised that the above scenario is a quite good analogy of Beauchamps' proposed course of action. What's that you say? Conflict of interest? Well, um, you're obviously forgetting that this is Ireland. We couldn't agree more. Stay tuned. August 19, 2013 We've recently received information regarding two previously unknown events (to add to all the ones we already know about) where Ethan was draining Dolores' financial accounts shortly before her death. One while she was admitted to Wexford General Hospital during September 2-9, 2010, and the other while she lay in WGH during her final hospitalisaton. Both involve multi-thousand Euro amounts. Saoirse will seek to have both returned to Dolores' estate. They will be reported in detail on this site as time and resources allow. August 19, 2013 Thanks to Anonymous for the account of Ethan's use of Dolores' Disabled Parking Blue Card. August 18, 2013 Today marks the third year anniversary of Conor Maxwell's attempt to visit his mother Dolores. On holidays in Ireland, he and his family could not contact Dolores because of Ethan's isolation of Dolores and the absolute control of her phone and whereabouts that he had established by that time. Dolores had suffered a "fall" ten days earlier in Ethan's sole presence, resulting in a broken shoulder and facial injuries. We will publish details of this when we return to the narrative of Dolores' Last Year. In the meantime, we wanted to make note of Conor's unsuccessful attempt to see Dolores which resulted in a letter being issued to him on Beauchamps Solicitors' headed paper the following month. We note the date of the letter corresponds to the same day that Ethan had Dolores' land line disconnected, and had a new number assigned to her line. He told no one of this, especially not the Public Health Nurses who were beginning to show quite an interest into his relationship with Dolores. Although we believe this letter to be an outright forgery because of the misspellings, tortured grammar, lack of a legible signature and a bunch of other anomalies, surprisingly enough solicitor Joseph Bowe (who simultaneously represented both Dolores and Ethan!) assured Saoirse that this letter was indeed issued from Beauchamps, although he refused to say on whose instructions or even identify the author. Queries to Beauchamps' partners have also gone unanswered. Curious. August 17, 2013 We've added some audio to our August 02 Update, for those of our readers not using Internet Explorer 9 and under. August 17, 2013 Note to Anonymous who emailed us at approximately 11:30pm Irish time on August 16: We very much appreciate the information you provided and hope that the information provided on this website is a help to you and those around you. As we write this update, Saoirse is preparing information to be given to the Gardai, at the Gardai's request. If you or anyone around you has information regarding abusive or intimidating behaviour, any knowledge or documentation of financial irregularities or abuse of position or access, please consider sending that information to this site, for forwarding on to Saoirse. Any information would be extremely helpful. Even information such as Ethan using Dolores' Blue Card to park in Disabled Parking spots (as he is known to do) would be helpful. We will not publish information provided by you unless we have received permission from you. We take the privacy of our readers and sources seriously. We protect our sources, and it helps us to do so when our sources use the Submission Page which offers a way to send information anonymously. the Tor Bundle when sending sensitive items to us. "Ten Things You Can Do In Ireland That Almost Certainly Won’t Land You In Jail"
Number 6 is certainly alive and well in Dolores' case. 7,467 people found that out for themselves in 2012. In fact the State seems particularly sensitive to the vast numbers of the hardened criminals who didn't pay their €160 TV licence on time. So sensitive, in fact that they launched 11,500 prosecutions in the courts against those who failed to pay their TV licence on time in 2012. Goodness. What a shower of eejits, as they say. It's a bit Irish. August 02, 2013 Regular readers may recall our update of March 09 2013, in which we published Saoirse's 2nd and 3rd letters to Beauchamps Solicitors Managing Partner John White. On that page, entitled An Open Letter to John White Part 3, we also reported on other disturbing events that had come to light regarding the administration of Dolores' estate by her three co-executors, Joseph M Bowe, W John Cunningham (both of Beauchamps Solicitors), and Ethan Maxwell. We reported that we had received information indicating that at least one of the executors was using Dolores' estate to pay for his personal liabilities and that one of the executors is claiming expenses and being “reimbursed” for items that Dolores paid for (or was forced to pay for) months before she died. We stand behind those statements now nearly five months since we first reported them. There is now more unfortunate information to report on that front. Our thanks once again to Anonymous who has provided recent documents concerning Beauchamps' representation of the Maxwell family. Some of these documents concern the “Cash Account” prepared by Joseph Bowe for (eventual) dissemination to Dolores' beneficiaries. The record of the cash accounting has yet to be released to the beneficiaries, well over two years into probate and well over a year since Dolores' last asset was sold. There has been no explanation for this from the executors of Dolores' estate. The documents we are relying on originated from Beauchamps. We have crunched the numbers every way we can, and have taken into account every contingency that we could think of that might be at play here, and no matter which way we look at it it seems that tens of thousands of Euros from Dolores' estate have somehow missed being accounted for. Literally tens of thousands. We hope that it is perhaps an oversight that will be corrected “in due course” (to borrow a phrase from Mr White). Or perhaps there is a more recent "Cash Account" that we haven't seen that does reflect these unaccounted for funds. We have no reason to think so at the present time, because we can't understand how Dolores' estate could be generating tens of thousands of Euros in charges due 2 1/2 years after she died. The Cash Account we were provided with certainly seems to be more of an exercise in obfuscation rather than a simple, clear and transparent accounting of money in and money out – things are lumped together in various places with no indication what the lumps are actually composed of – but as we say, no matter how we parse it we are led to the same unfortunate conclusion. Perhaps Dolores' beneficiaries have no cause to be concerned here. Joseph Bowe, in a recorded meeting with Saoirse, promised full disclosure concerning the cash accounts. It doesn't seem to us to be an extraordinary thing to provide that but rather the minimum that would be expected from any fiduciary relationship– but especially given Ethan's attempt to fleece Patrick Maxwell's estate in 2006. Mr Bowe is well aware of his client's unfortunate history in that regard. Curious. We find ourselves well short of satisfied. On the other hand, we have reason to be marginally more hopeful that this whole sordid mess will unravel. Stay tuned.